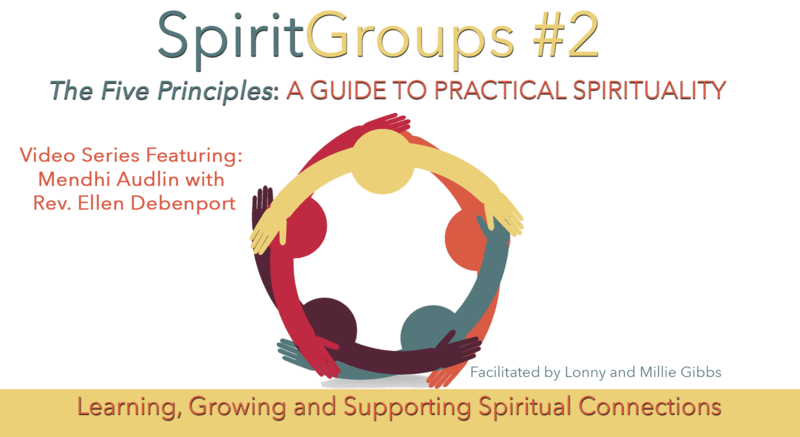 SpiritGroups is starting a new video series that is open to everyone! "The Five Principles: A Guide to Practical Spirituality" provides tools for daily living and suggests answers to the great questions of existence that humans have been asking since the dawn of conscious awareness. Based on the book by the same name by Rev. Ellen Debenport, this series poses questions such as: What is this greater Presence that we sense around us? Who and what are we? Why do things happen in our lives the way they do? How can we communicate with this Presence? and What are we here to do? These same principles reflect the laws of the universe that apply to everyone, all the time. They show up in every major religion, and are all reflected in the teachings of Jesus. Rev. Ellen encourages every participant to "work with the principles, test them, apply them to your life, and watch what happens." Participation in all the classes and events is encouraged. If you have any questions, please call 239-850-5669. The classes will take place in the Fellowship Hall and start at 5:30 p.m. with a potluck meal, followed by a video presentation and small group discussion, and end around 7 pm.